The Helo HE878 Satin Black wheel is available in 16x7, 17x9, 18x9 and 20x9 sizes. 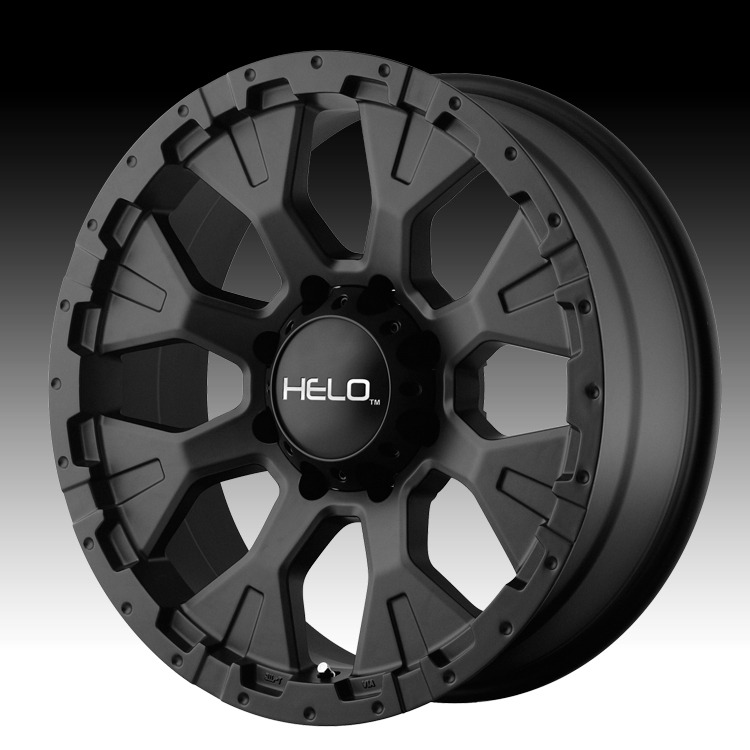 The Helo HE878 is an aggressive wheel and is available for most Trucks and SUV vehicles. Free Shipping on all Helo wheels. Free lugs and locks with the purchase of a set of 4 Helo HE878 black wheels. Please note that this wheel is considered an aggressive fitment wheel on most newer trucks and will require a lift. 2007+ Jeep Wranglers - Perfect fit for an aggressive look. No modification required. Thank you for you help when ordering my wheels. Very helpful and friendly people!! Love the new look of my Jeep.